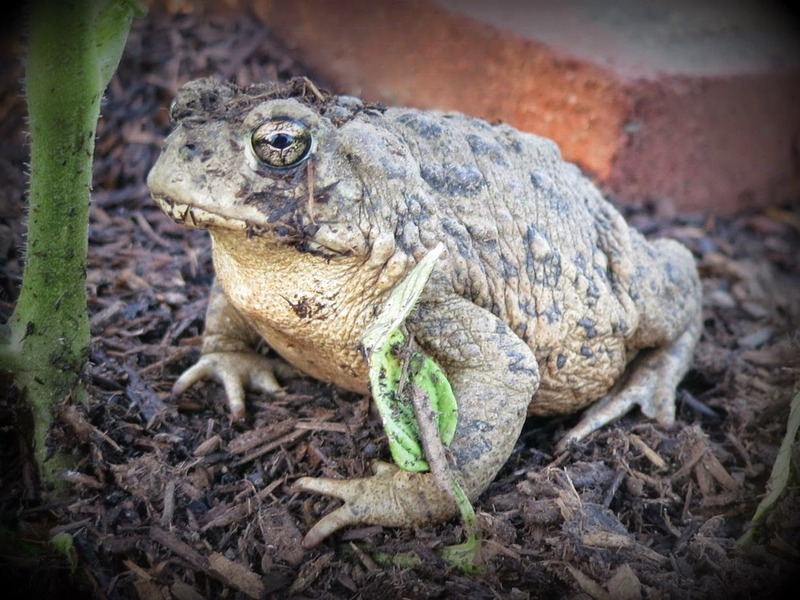 Garden toad has made an appearance this year to ring in Year Three of my participation in The Mad Tea Party hosted by Vanessa at A Fanciful Twist. My focus has been to utilize mainly thrifted items with garden backgrounds. The creative bunch that link up range from professional artists to scene-staging bloggers. You will see macro photography fashioned in whimsical ways. I'm preparing my summer garden now for what I hope will be a spectacular event! Linking up with Bella at The Citizen Rosebud for Secondhand First. She instructs to Share your #SECONDHANDFIRST look- featuring you in a swapped, thrift shopped or ethically sourced and produced item. Scuse the kinda crooked fake eyelash - those buggers are a bear to glue on! This fun sorta-hippyesque piece was from I-don't-remember-when thrift shopping ago. I get a kick out of picking up jewelry for just a few dollars for an outfit that needs some casualing-down. Since secondhand shopping is my forte, the necklace, olive green tank top and tie dye cotton skirt were all thrifted. The skirt came with an equally fun tie dye matching top from Goodwill ($3). I'm stocking up on my summer reading (Fifty Acres book $3.00), couldn't pass up the dyed abalone shell bracelet ($1.25) and OF COURSE, the black fake eyelashes ($2.00) for those oh-so-close-up selfies. Other thrifted goodies include the two patterns one from 1969, the other from 1977. I decided to start buying vintage patterns (1) if I wanted to make an outfit from that time period, I have a template, or (2) I could sell them. Finally, the polished rock necklace (1/2 off $1.75) is in honor of the geology class I am taking this summer. Things are heating up here in Northern California with temperatures climbing into the 90s. This outfit is oh-so-comfy for this type of weather. I'm wearing an Alfani light grey top and a recent thrift shop find of a silk floral print Evan Picone skirt ($2). I kinda went wild with thrift shopping this past weekend. I don't know how people manage to find stuff for resale. On average, I visit 5 thrift shops a week. Most times I find nothing. What I did find was this Italian scarf ($2), Fossil sunglasses ($3 - I'm sporting the frames in the picture above) and a Ballinger-Gold vintage sweater ($7). The sweater and an exquisite Camelhair Hunter's Glen M. Lady Bruhn blazer (not pictured, $4.50) are both headed to the dry cleaners and then the cedar chest storage for the winter months. My newest bare root rose I planted this season, a Purple Tiger Floribunda, in full bloom. 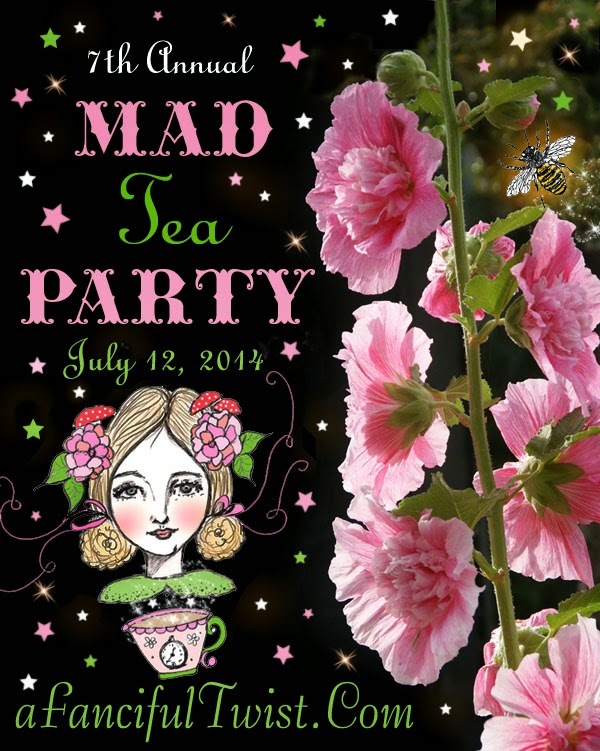 The Mad Tea Party hosted by Vanessa at A Fanciful Twist will take place in a couple of months. This is one blog hop event that combines my love of gardening, whimsy and fashion (Barbies and Muffy Vanderbears are the stars of that show). The event is loosely-based on Alice's Adventures in Wonderland by Lewis Carroll. I swear I must have read her mind - it is a blue-based day with her sporting blue velvet. 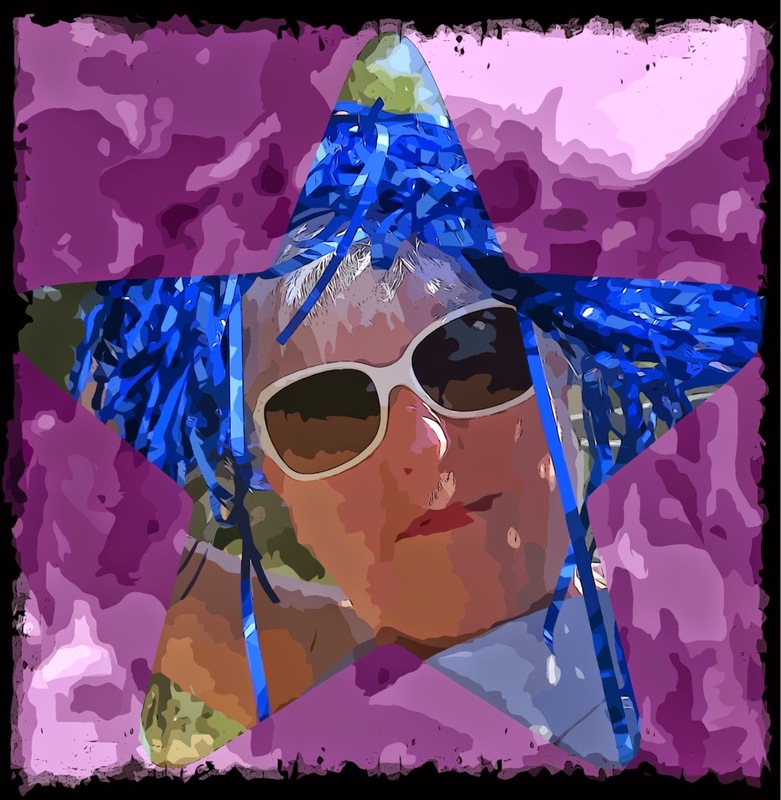 I have been keeping my eye out for blog writing or photography challenges and stumbled across the Biannual Blogathon Bash on June 20-23, 2014. I am not sure what all I am in for, but if you are in the mood for something different, signups are still open. Keep up with the blog for more information including what to do after you sign up. Also be sure to sign up for the newsletter (top right sidebar) for reminders and news about the blogathon, updates on the blog and blogging tips. Excerpts from the Biannual Blogathon Bash website (with a little added text from me). Here is is halfway through May and I still haven't fulfilled my pledge on the Me-Made-May'014 to refashion/repurpose a thrifted item during this month. I am still on the lookout and the idea I have in mind is to see if I can make an ugly garment uglier (I'm sure it is possible). "Wear something of your mom's" is Spygirl-amb.blogspot's prompt for this 52 pick-me-up Wednesday. This L.L. Bean sweater was my mom's. I paired it with a light blue Basic Editions sleeveless collared shirt and a Talbots floral print skirt. This was the first time I put this ensemble together. I'm liking it! 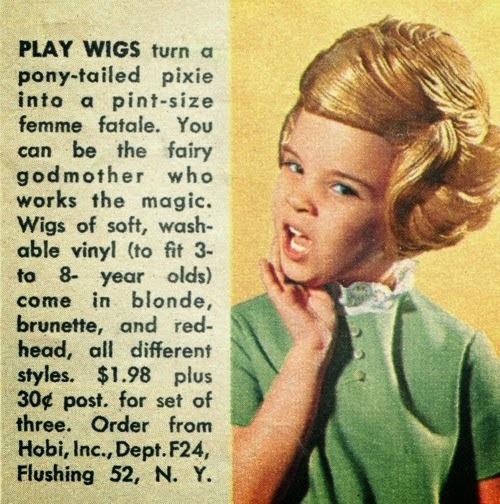 I continue to work on perfecting the french roll hairstyle, I think it turned out like the blondie in the play wig.